Archaeologists have dated the fig tree to 5,000 B.C. so enough time has passed to learn how to cultivate it and enjoy the fruit it produces. 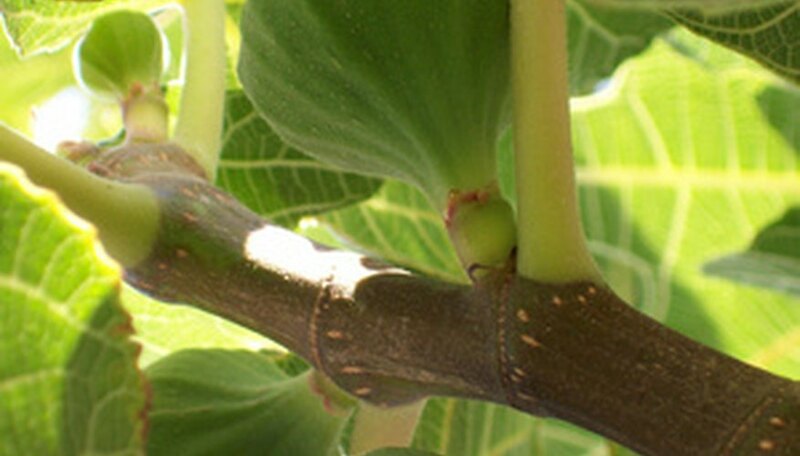 Native to Asia, the fig tree thrives in areas with lots of sunny days and low annual rainfall. When choosing a location to plant your fig tree, keep in mind that it will grow quite large and its roots will spread far, in search of water. Site it well away from the house or other structures. As well, the canopy will create dense shade for anything growing beneath it. Take your fig tree cuttings in the spring. The fig tree is hardy to USDA zones 8b to 11. Cut a 6- to 8-inch branch stem from the fig tree. Look for a woody one from last year’s growth. Remove all the leaves from the cutting, with the exception of two or three at the top. Dip the cut end of the branch stem into the rooting hormone, mist it until it is wet, and place it in a plastic bag. Place the bagged cutting in an area where the temperature remains 50 to 60 degrees, for one week. Pour the sand into the planting pot and water it until the excess water runs out of the bottom of the pot. Stick a pencil into the soil to create a planting hole for the cutting and insert the cutting into the hole. Pack the soil well around the base of the cutting. You can plant four cuttings in a 4-inch planting pot. Cover the pot with a plastic bag, secure it and place it in a shady area. Check the soil daily to make sure that it remains moist. If it appears to be drying, use a plant misting bottle to lightly spritz it. Remove the bag from the pot when the cutting has new growth, and allow it to remain in the shade for at least three weeks prior to moving it to a location that receives morning sun and afternoon shade. Transplant the cutting, in the fall, into its permanent location. If you've planted multiple cuttings, transplant them into individual pots or their permanent location. When you plant the fig cutting in its permanent location make sure that it will receive sun all day. The California Rare Fruit Growers caution against transplanting the young fig tree in the spring as it will likely die. Wait until the tree goes dormant in the fall to place it in its new home. How Do I Take Cuttings From Olive Trees?